Very well done and thank you to all the volunteers who worked so hard to organise, prepare, clear up and deliver the Community Christmas Dinner! Particular thanks to Sue and Gordon Candler and the volunteer catering team who worked their socks off in the kitchen. "Very special thanks to Angela and Cliff who went without a lunch! They supported everything so happily..,smiles all the time. Getting things organised, shopping and collecting things. Pauline Holland who was involved from the start with ideas and shopping. Tom..Greg and Cliff for entertainment. Ian and Karen, John Eastgate for help laying up. Rosemary, Diane and John Millard for extra help the morning afterwards. Ian and Debbie, John and Linda Eastgate and Pammie Walker for loan of equipment. Community effort for the community..great. Everyone who came and the atmosphere they created. We had money left over ( because we did not have to pay for staff or hire the hall). We have sent this to the Charity 'Crisis' since these give Christmas lunches to the homeless. £100 in total....our balance and money given to make up to £100 by a couple in the village ( very kind)." 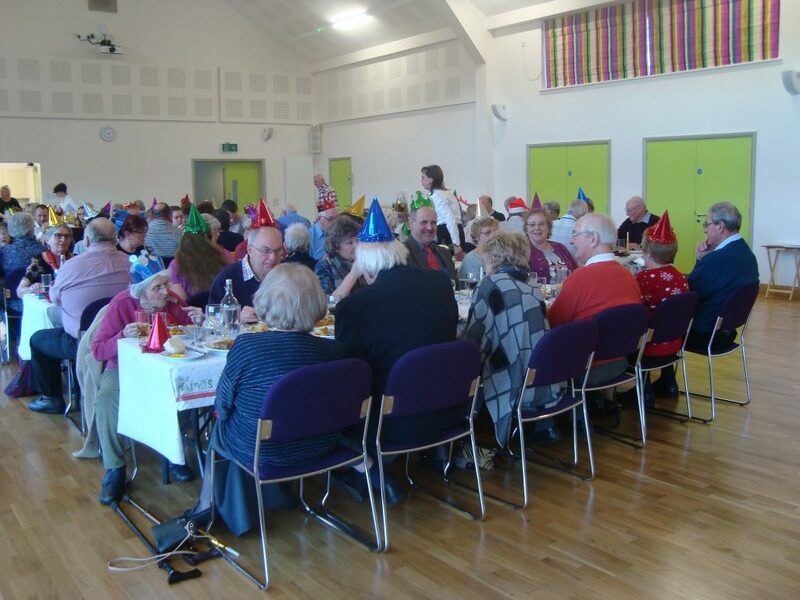 With thanks to the 'Love Norfolk Fund' who funded all the crockery, cutlery and glass ware for the village hall, enabling us to support and cater for fantastic community events like this.